Dhoni accepted the award in his Army uniform as he holds the honorary rank of Lieutenant Colonel of the Indian Army. 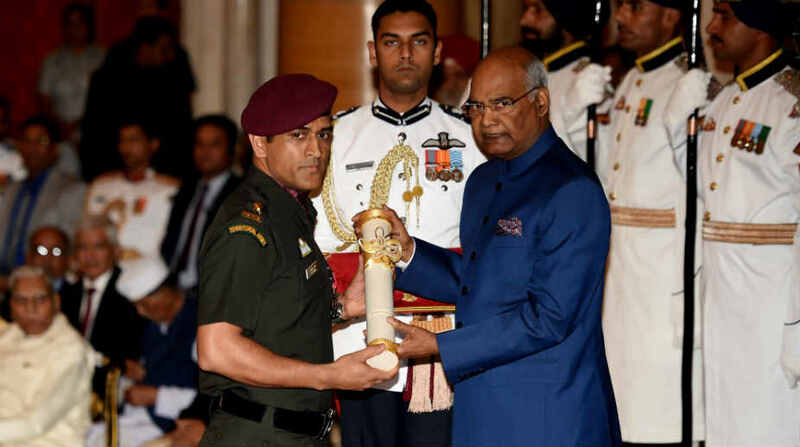 President Ram Nath Kovind Monday presented Padma Bhushan Award to former India captain Mahendra Singh Dhoni during a ceremony held at the Rashtrapati Bhavan. The cricketer took to the photo-sharing app Instagram to share his excitement, which was increased by 10 times as he accepted the honour in the uniform. “An honour to get the Padma Bhushan and receiving it in Uniform increases the excitement ten folds. Thanks to all the Men and Women in Uniform and their families for the Sacrifices they make so that all of us could enjoy our Constitutional Rights.Jai Hind,” Dhoni wrote. On April 2, 2011, MS Dhoni-led Indian cricket team had written history by winning the World Cup for the second time for India at Wankhede Stadium in Mumbai. Dhoni brought the World Cup back to India after a drought of 28 years. Co-incidentally, after seven years of leading India to victory, MS Dhoni received the Padma Bhushan award on the very same day (2 April). Dhoni shared many pictures from the event that he attended with his wife Sakshi and daughter Ziva. On Monday, Padma Bhushan – the third highest civilian honour – was presented to five people – Dhoni, billiards champion Pankaj Advani, Russian Ambassador to India Alexander Kadakin (posthumously), Indian artist Laxman Pai and folk singer Sharda Sinha — while Padma Shri was awarded to 38 people. 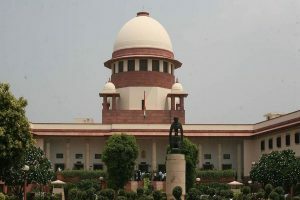 Among the dignitaries present on the occasion were Vice President M Venkaiah Naidu, Prime Minister Narendra Modi, Lok Sabha Speaker Sumitra Mahajan and Union Ministers.